This book is the first book I’ve read by Kim Law. I enjoyed the book very much. EX ON THE BEACH is a great story that includes humor, romance and drama. Kim Law grabs the reader’s attention in the beginning and takes the reader on a journey of watching two people rediscover their love for each other. Andie is a young business woman who is living her life and making decisions in hopes of eventually obtaining her mother’s approval and love. Andie’s mother is distant and focused only on being successful in the corporate world. Because of the relationship Andie has with her mother, she lives with her aunt. The story takes place in a beach community called Turtle Island (sounds romantic already!) Mark is Andie’s ex-fiancé, who left her standing at the altar four years previously. Mark and Andie reunite after Andie’s wedding planning business is hired to coordinate an expensive wedding for one of Mark’s friends. Andie and Mark are very much in love, but have past issues that prevents them from making progress in their relationship. During the reading of this book, I laughed, cried and growled at parts of the book. This is an excellent heart-warming book that will leave the reader crying (in a good way) one minute and laughing the next. A great book—I couldn’t put it down. I am anxiously waiting for the next installment of Turtle Island drama! Just a reminder about the awesome new contest that Kim Law is promoting! I am excited about this because the winner will get an iPad mini and a bundle of e-Books! Here’s the link. https://www.facebook.com/kimlawauthor/app_468643819888314. Hi all! I have discovered a wonderful new author! I am so excited to share this information because her books are AWE-SOME! 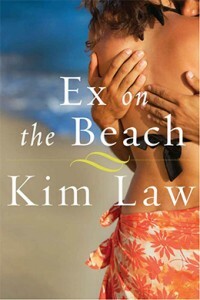 I am currently reading Kim Law’s EX ON THE BEACH! I am so excited about this discovery. I LOOOOOVE READING! When I learn of a new author and new books to read, I am in heaven! EX ON THE BEACH is a contemporary romance about Andie and Mark who are madly in love with each other, but can’t be together because of unresolved emotional baggage. I am at the point in the book where they are trying to overcome these issues. I’m not finished with the book yet, but it won’t be long! I can’t put it down! I am emotionally invested in this novel. The characters are believable and likeable (or hate-able where Rob is concerned–the JERK!). I should be finished with this book soon and then I will post a complete review with my thoughts! SUNSET BAY is the story about Megan Greene who feels she doesn’t fit into her dramatic and dysfunctional family. With the turn of each page, we see Megan cope with issues in her life and watch her progress from an insecure teenager to a beautiful confident woman. The reader witnesses Megan make the necessary changes to put her life back together after a series of events tears her life apart. The characters are flawed and believable. I loved some characters and hated others. For me, the characters were so real it was as if I were developing a friendship with them as I turned each page. I didn’t want the book to end! I highly recommend this book. It has laugh-out-loud humor, snarky humorous remarks and tear evoking moments. The romance and intimate scenes are well written and not cheesy or fake. I laughed and cried (because some events/issues hit too close to home). I cheered as the characters’ triumphed over the challenges in their lives. A very good read. I like the way Susan writes to emotionally evoke laughter and tears from the reader! I love a book that makes me feel; anger, sadness, happiness, hurt, etc. This book is a great read, I highly recommend it. Crab a box of tissues before you begin to read. 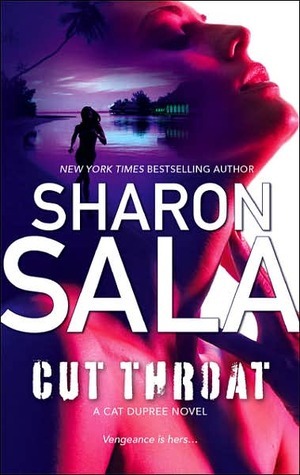 I am finally caught up enough with work that I can start reading Blood Trade. 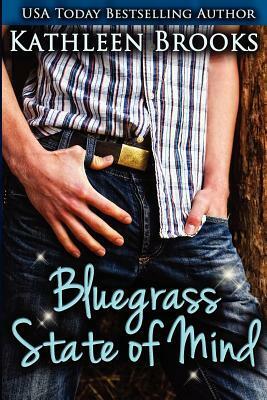 I am excited about the progress Jane Yellowrock is making in the series. She is no longer alone…she has Eli and Alex (The Kid) working security with her and the Vamps. I feel like Jane is about to begin collecting a family of sorts; a family that actually cares about her well being. I am glad because Jane deserves to have a “family” and be happy. I want good things for Jane and Beast. I will keep everyone posted as I read this awesome series!